In 1942 Norman Hanson learned to fly the Royal Navy's newest fighter: the U.S.-built Chance Vought Corsair. Fast, rugged, and demanding to fly, it was an intimidating machine. But in the hands of its young Fleet Air Arm pilots it also proved to be a lethal weapon. 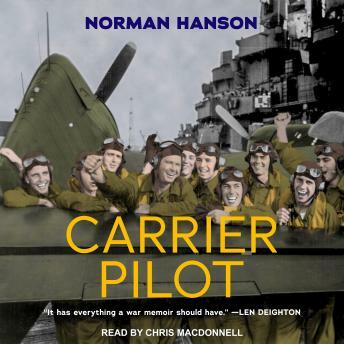 Brought to life in vivid, visceral detail, Carrier Pilot is one of the finest aviators' memoirs of the war; an awe-inspiring, thrilling, sometimes terrifying account of war in the air.